WIN! A fantastic Nikon prize package worth over £2,000! Enter our Power of Light competition by uploading your best shots, demonstrating the ‘Power of Light’ in any creative way that you want to – for your chance to win a Nikon D300S and 16-85mm lens + a Nikon Training Voucher! 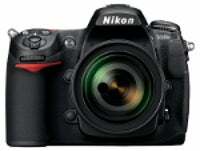 The Nikon D300S is a compact DX format SLR that boasts a 12.3 megapixel CMOS sensor. It has a 51-point autofocus system, EXPEED image processing, 7fps continuous shooting and incorporates HD movie capability with the option of an external stereo microphone. The prize kit comes with the highly portable 16-85mm f/3.5-5.6G ED VR AF-S DX NIKKOR zoom lens. Equipped with Nikon’s second-generation Vibration Reduction (VRII) system and exclusive Silent Wave Motor (SWM), it offers superb performance in low-light, delivering steady images to both the sensor and viewfinder, and features fast, quiet autofocus. Get the most from your brand new D300S and lens with a comprehensive Nikon training course. Run by experts in their fields, courses run all over the country and cover everything from digital equipment and software to photography techniques, plus tried-and- tested advice on commercial photographic opportunities. Visit www.nikon.co.uk/training for more information. Standard terms and conditions apply. Visit the Nikon gallery, and upload your winning image (remember to keep the file size below 2MB and submit your photos in JPEG format – maximum 1,000 pixels along its longest edge). – Only entries uploaded to the correct Nikon gallery on www.whatdigitalcamera.com/nikoncomp will be entered into the competition. *This prize is subject to availability. If the prize is unavailable at the time of awarding the competition winner, a replacement prize of the same or higher value will be provided to the winner by Nikon. – Entrants should upload photographs to the https://www.whatdigitalcamera.com/nikoncomp gallery as a jpeg, preferably sRGB, no more than 1,000 pixels along its longest dimension, in colour or black & white. The file name of your image must be your first and surnames. – Copyright in all images submitted for this competition remains with the respective entrants. Where an image is used, the photographer will be credited. Images will only be used by What Digital Camera or Nikon UK, in connection with the promotion of the competition, for a period of no more than five years. – Employees of IPC Media and Nikon, and their families, may not enter this competition. Prizes are as stated and no cash or other alternative can be offered to the prizes or overall prize. No money can be added to the overall prize. – The overall winner will be chosen by the editor must claim his or her prize within four weeks of being notified. The editor’s decision is final and no correspondence will be entered into. Normal IPC competition rules apply. Competition details form part of these terms and conditions. Entry is open to residents of the UK and Republic of Ireland only, except employees (and their families) of IPC Media, its printers and agents, the suppliers of the prizes and any other companies associated with the competitions. The winner(s) must be aged 18 or over. Proof of identity and age may be required. Use of a false name or address will result in disqualification. All entries must be made directly by the person entering the competition. Entries made online using methods generated by a script, macro or the use of automated devices will be void. No responsibility can be accepted for entries lost, damaged or delayed in the post. The prizes are as stated, are not transferable to another individual and no cash or other alternatives will be offered. Winners are responsible for expenses and arrangements not specifically included in the prizes, including any necessary travel documents, passports and visas. Prizes are subject to availability and the prize suppliers’ terms and conditions. The promoters reserve the right to amend or alter the terms of competitions and reject entries from entrants not entering into the spirit of the competition. The winner agrees to the use of his or her name, photograph and disclosure of county of residence and will co-operate with any other reasonable requests by IPC relating to any post-winning publicity. Unless stated otherwise all postal entries must be made on the relevant coupon or form printed in the magazine. The winners will be chosen from all correct entries received by the closing date stated within the promotional material. Winners will be confirmed via email. Reasonable efforts will be made to contact a winner. Failure to respond and/or provide an address for delivery within 28 days of email sent, or failure to meet the eligibility requirements may result in forfeiture of the prize. If they cannot be contacted within 28 days, or are unable comply with these terms and conditions, the Promoter reserves the right to offer the prize to the next eligible entrant chosen. Where applicable, the decision of the judges is final based on the criteria set out in the promotion and no correspondence will be entered into over this decision. Competitions may be modified or withdrawn at any time.